Want to have exciting and relaxing school holidays in Malaysia? If so, this compilation of holiday destinations in Malaysia won’t disappoint you. From Kuala Lumpur to Kota Bahru, each destination has its charm and certain things to make you feel calmer, recharged, enriched. Holiday is an opportunity for students to relax, rejuvenate and freshen up in a new way. In fact, it allows an escape from stresses and struggles of the classroom. And what can be a better way to achieve these “rewards” than travelling. So, pack your bag and off to one of these destinations in Malaysia to celebrate your school break in a fun and exciting way. Langkawi is the cluster of 99 islands located on the western coast of Malaysia. One of the popular beach destinations in Malaysia, Langkawi mesmerizes you with its crystal clear water, swaying palms, sun kissed beaches, and coastal mangrove swamps. Besides, Langkawi is the home to historical attractions, fare, diving sports, nightlife and shopping. It is the perfect place to spend your holidays after a long stressful year of study. Feel at the top of the world while standing at 700 meters high Langkawi Sky Bridge. See the stunning sights of gigantic limestone rocks at Kilim Geo Park. Don’t miss Underwater World at Pantai Cenang to catch the glimpse of amazing marine life. The other must see attractions to see at Langkawi are Langkawi Marine Life, Pulau Payar Marine Park, Eagle Square, and Langwaki Village Complexes. Fondly known as the Food Capital of Malaysia, Penang is situated at the northwest coast of Peninsular Malaysia. The city is the marvellous fusion of modernity and old world charm. For a student, there are many reasons to visit Penang. Being the food hub of the nation, the city offers an unforgettable gastronomical delight that you will find nowhere. Take a cultural walk through the streets of George Town to explore Penang’s colourful history. Experience the religious fervour in its places of worship like St George’s Church, Kapitan Keling Mosque, Ke Lok Si Temple and Sri Mahamariamman Temple. Do shopping at the flea markets, pasar mala and modern shopping malls. 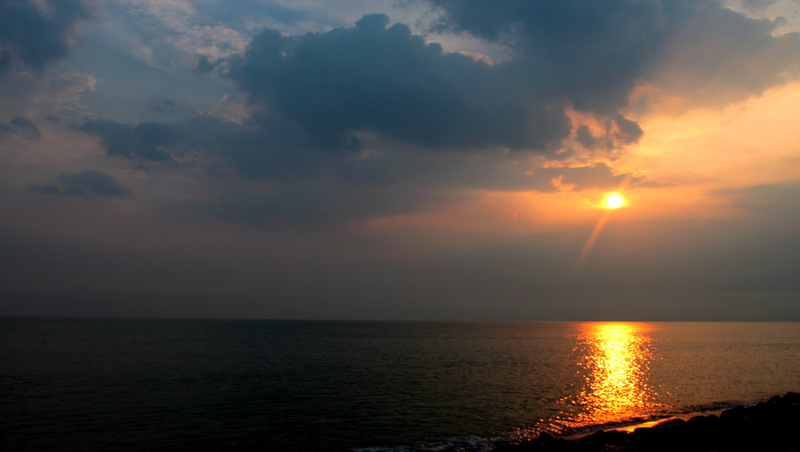 Explore the local beaches like Penang Island and Batu Ferringhi to relax on the golden sand. Kota Kinabalu is the capital of Sabah state in the northern part of the island of Broneo. Also known as KK, it is the coastal city partly surrounded by rainforest. Kota Kinabalu captivates you with its beautiful locations, breath-taking sunsets, blossoming arts and music and the whole gamut of delicious cuisine. The popular attractions of the city are Mari Mari cultural village, Museum of Islamic Civilisation, Night Market, Lok Kawi Wildlife Park and many more. And KK is the gateway to the tallest mountain in Malaysia, Mount Kinabalu, making it the best destination for adventure sports lovers. Kota Bahru is the capital of Kelantan state; however, it is often overlooked by the tourists. If you want to spend your school holiday at some unexplored place, look no further than Kota Bahru. It houses historical palaces, museums, and colourful markets wrapped up in a calm atmosphere. The city is the perfect escape from the stressful academic environment and the hustle and bustle of the daily life. The rich architectural heritage of Kota Bharu rests on the old mansions, Malay-style palaces and splendid mosques. Pasar Siti Khadijah is an open market in Kota Bharu which is dotted with the colourful stalls of daily needs and fresh produce. Pantai Cahaya Bulan is the most popular beach of Kota Bharu. If you want to give “luxury touch” to your holidays, nothing can be better place than Kuala Lumpur. The capital city of Malaysia enthrals you with its vibrant lifestyle, fabulous shopping, delicious cuisine, beautiful beaches, and happening nightlife. Kuala Lumpur is the home of amazing attractions and exciting activities. You can start exploring the city with Petronas Twin Tower that accommodates shopping mall, landscaped park, hotels and many more things. What about swimming with sharks? At Aquaria KLCC, you see 150 species of fishes from a 90m walk-through tunnel. 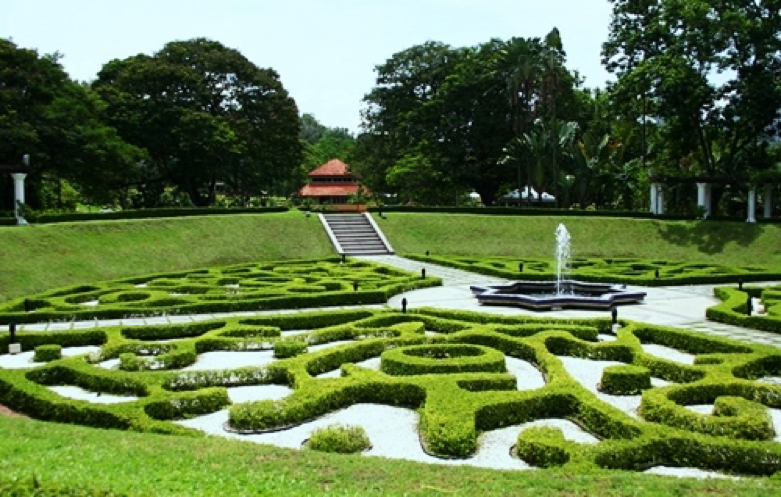 On the other hand, you can enjoy your picnic at KL Lake Gardens, Deer Park and KL Butterfly Park. KL museum should be on your itinerary to get familiar with the nation’s rich history and heritage. So these are the destinations in Malaysia you can visit during your school holidays. Wherever you go, it is for sure that you will come back with a bag full of memories, new experiences and improved outlook towards life. And these things are a great way to resume your academic session!